Maxitone Sculptress Tablets are an over the counter dieting product that is sold in the form of a pill by a company called Maxinutrition. They are meant to help dieters to be able to lose weight faster and more easily than they could as a result of their own dieting and exercising efforts. 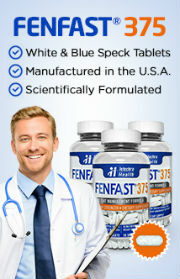 The manufacturer is based in Europe and calls itself a “leading sports nutrition supplier” there. That brand appears to be owned by GlaxoSmithKline UK, which is a pharmaceutical giant with a solid reputation. The pill, according to the manufacturer, contains high quality extracts, helps a dieter to meet exercise goals, and contains a high content of caffeine. That last point is listed as a feature, but it is important to note that many dieters may not see it that way. Caffeine, when used in the right amount by the right person, can boost the metabolic rate, promote thermogenesis (the increased burning of fats and calories in order to provide fuel for body heat), alertness, and energy. However, when too much is taken, it can produce unwanted side effects that can be very uncomfortable for the user. These can include jitters, anxiety, diarrhea, headache, nausea, rapid heartbeat, increased blood pressure, heart palpitations, and others. 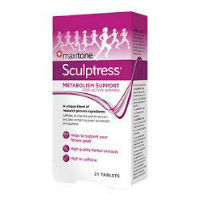 At the time that this review was written, Maxitone Sculptress Tablets were out of stock at the official manufacturer’s website, but they were still being sold on third party websites. 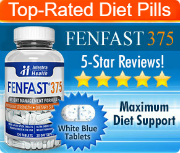 The official webpage for this product on the manufacturer’s website is not terribly specific about how the various ingredients that it contains are meant to help a dieter to lose weight, other than saying that it will “support an active lifestyle”, which doesn’t say much about the amount of weight that will be lost throughout its use. When looking into the ingredients that make up the formula, it becomes clear that the manufacturer wasn’t kidding when it said that it contained a high amount of caffeine. These substances are: bitter orange peel powder (containing synephrine), L-tyrosine, cayenne pepper extract, black pepper extract, guarana seed extract, caffeine, and green tea extract. Nearly all of those ingredients contains stimulants on some level. Some of those stimulants are quite powerful; particularly the bitter orange peel and the guarana seed extract, not to mention the caffeine. With this combination, it is more than likely that many dieters will experience uncomfortable side effects that will cause them to want to stop the use of the product as the benefits will not outweigh the drawbacks.